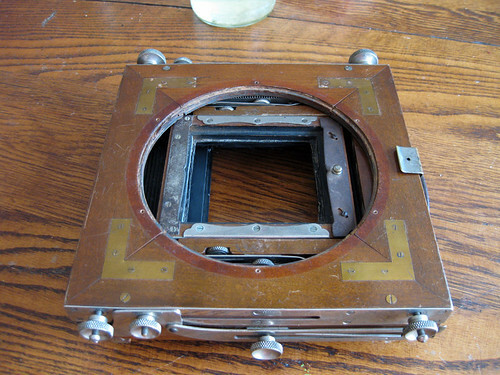 First step in making the camera 4×5-ready is to repair the parted-out plate back. One of the rails had been removed to allow mounting (poorly) of a Graflex spring back. Time to remake that rail. 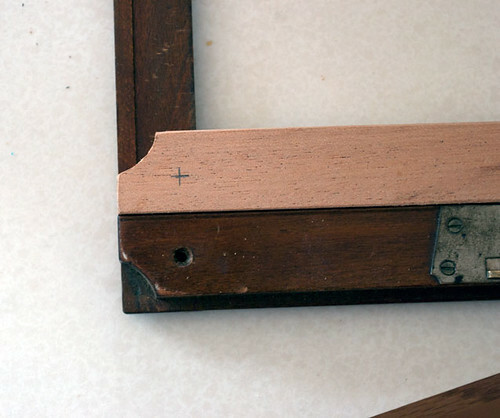 The plan, now, is to remake that rail, replace the four wood screws that tie everything together, and design a 4×5 insert of walnut. I’ll be using the springs from the Graflex back. 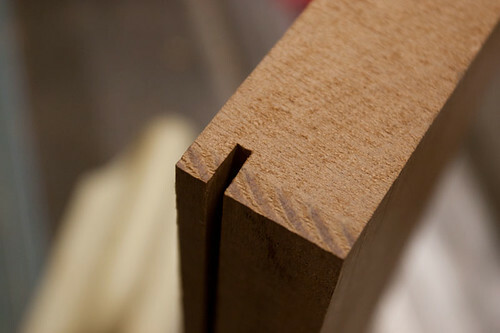 Now, I know what these are from years of hand cutting joinery, but it may not be apparent to everyone, and some may think they’re actually a bad thing, or indicative of abuse or sloppy manufacture. 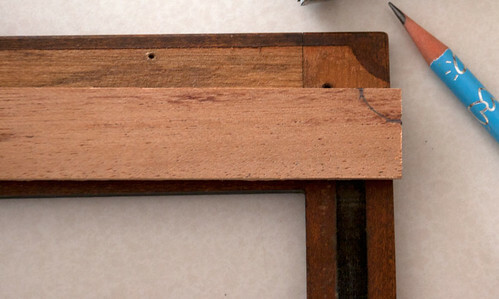 The lines, noted above with the blue arrows, are scribe lines made by a marking gauge when laying out the mortise for the inlaid brass corners. 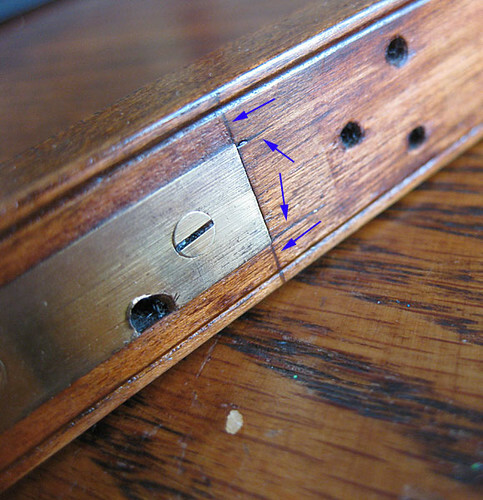 The lines are scribed on the wood to define the edges of the area into which the brass will be inlaid (a “mortise”). 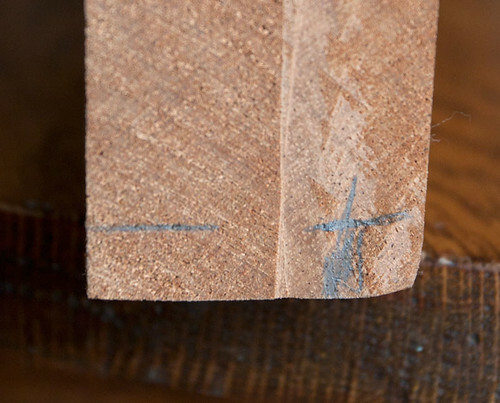 Then chisels are used to remove the material in the mortise, allowing the brass to sit flush to the surface. In other words, this inlay wasn’t made using CNC or a router; a skilled workman used handwork to make the cuts. It’s indicative of a hand-made piece. Now, not all handwork is created equal, but on this camera the joints are tight and the quality is impeccable. All good. 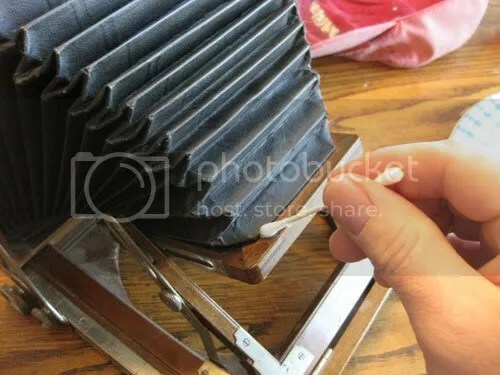 After removal of the lens standard from the front standard assembly, I scrub the lacquer with lacquer thinner and 0000 steel wool, followed by several wipings with paper towels soaked in lacquer thinner. 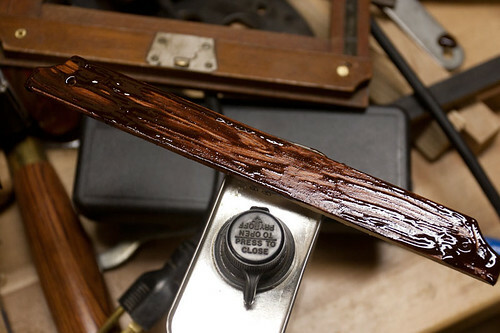 Once dry, the wood gets a bath in cherry-colored TransTint dye and several coats of sprayed gloss lacquer. The nickeled metal is polished with Flitz and a Dremel felt wheel; the steel parts are sanded and sprayed with satin black Rustoleum enamel. 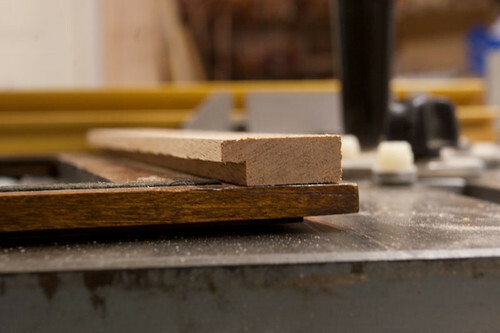 First order of business – separate the bellows from the front standard. 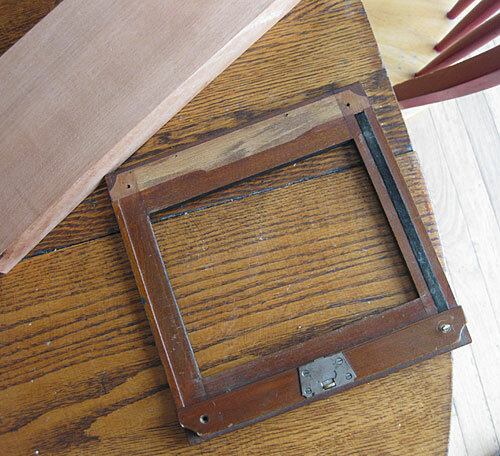 These bellows wewre glued in place. I applied some xylene to the seam with a Q-Tip in hopes of softening the adhesive. This only slightly worked. I’d guess the glue was water-based rather than solvent-based. Water may’ve worked better. Removal of the lens standard was an exercise in screw removal and gently easing the locking screws through their mounting holes. 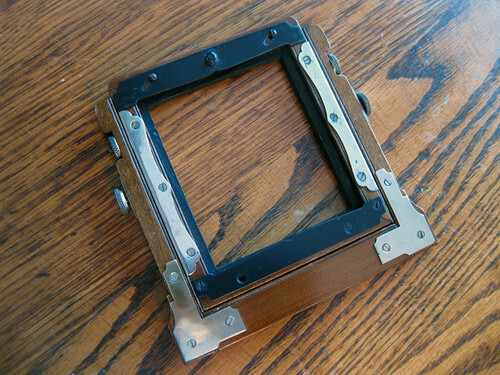 The side clips on the standard are screwed from the side and front; reinstalling will require threading the locking screws into the standard bracket, then screwing the lens standard in while in place. Should require three or four hands to do. Well, the Asanuma arrived yesterday. Opening the box answered many questions, but raised many more. It’s a sturdy, well-designed, well-engineered camera. 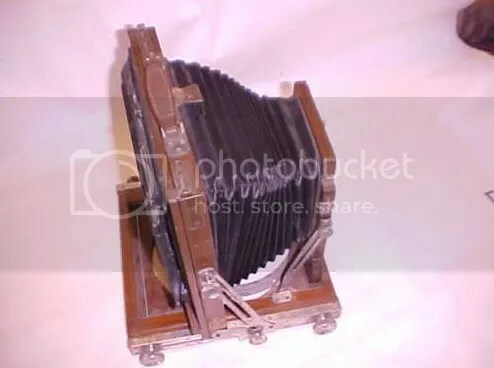 It indeed looks to be an Asanuma, mainly due to the arrangement and design of hardware details (the locking knobs on the front standard, the scroll work on the lensboard retainers, the inlaid brass braces in the corners and base). 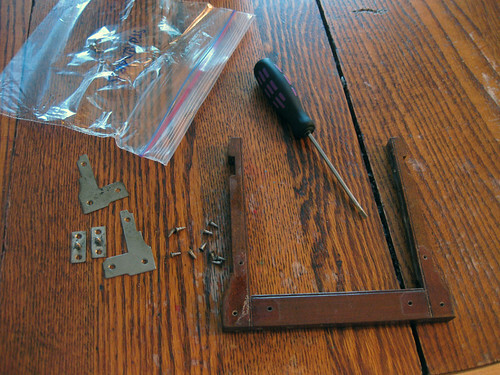 It has the original plate back, but the back is unsuable in its current state, with parts removed to make room for a poorly-fit Graflex spring back. 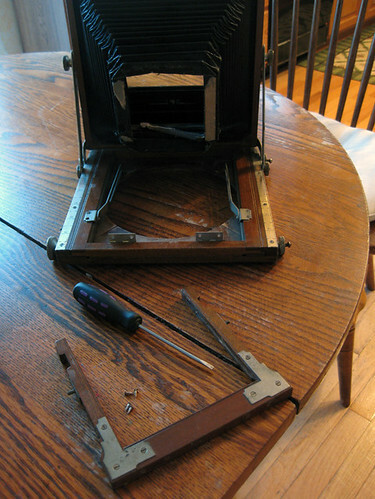 There are loose joints needing gluing, the bellows are poor, and the base needs a contemporary tripod mount. 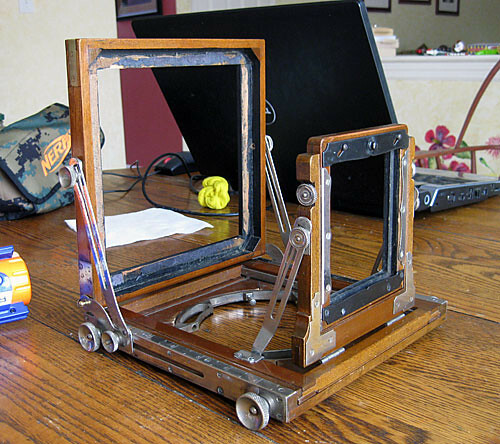 The metalwork is pretty tarnished, and appears to be a mix of metals – the top and bottom lensboard retainers are steel, and rusted, while the rest of the hardware appears to be chromed brass. That’s the bad. 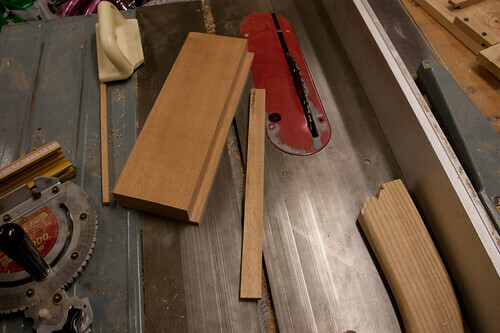 The good: The wood, which appears to be mahogany, is in beautiful condition. The leather strap is sound, and appears new. The back will make an excellent template for the new back(s) the camera is going to be fitted with. Everything locks down appropriately, nothing is broken or bent, and the camera has about 14″ of draw and good movements. The back is easily reversible. 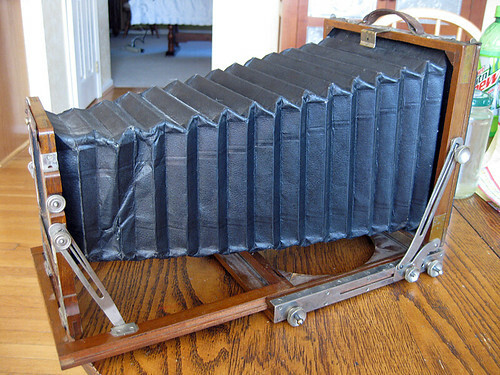 And the camera, while robust and sturdy, is a featherweight. Questions raised: Should I file the peened heads down to remove all the hardware for painting? Should I just paint the steel parts and polish as best as possible the rest? 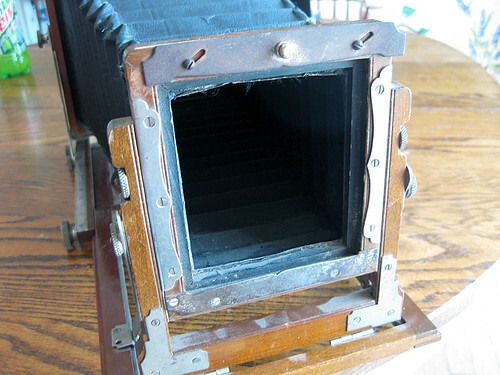 What was the actual format of this camera? 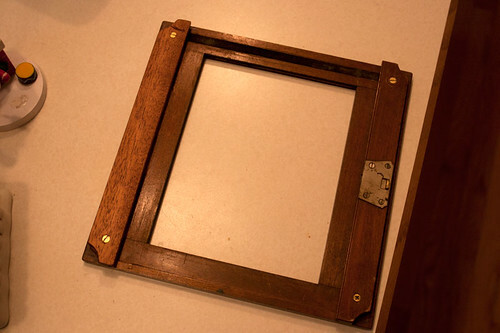 I’ve been assuming it’s half-plate, but the window on the plate back is 4-7/8″ x 6-1/4″, which is less than half-plate. 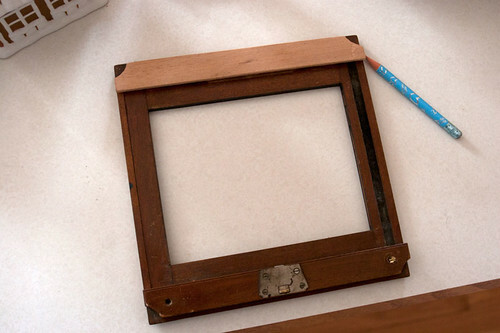 There are no bellows frames – they’re glued directly to the standards. 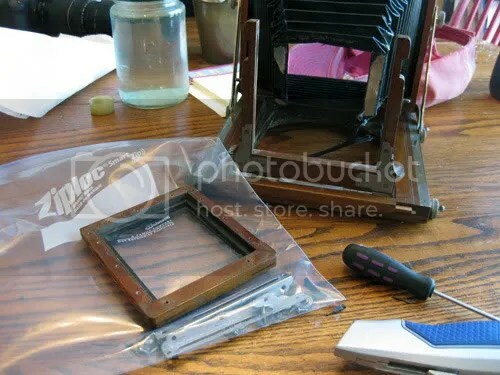 Should I fabricate frames, or glue the (eventual) new bellows in place as the originals? 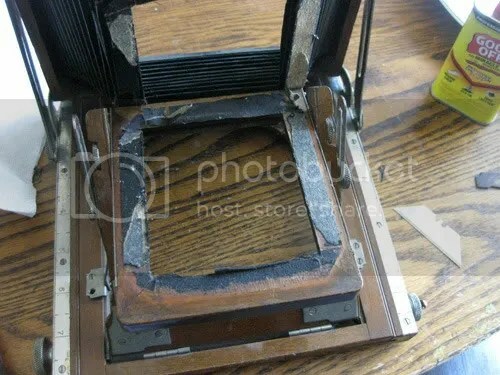 I’ve already pulled the top lensboard retainer and soaked it in CLR, which removed a little rust. I tried buffing with Flitz and a Dremel, which removed a little more rust. 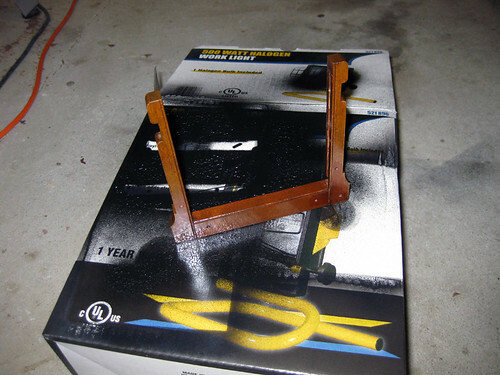 But I think the solution to the two rusted retainers is Krylon. 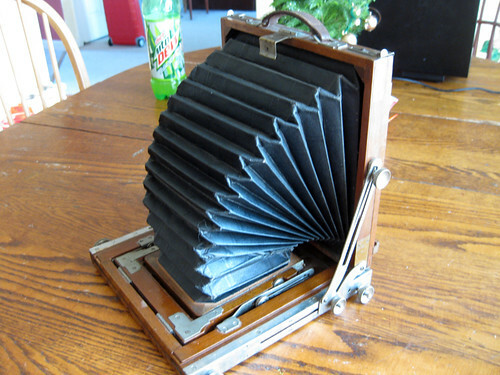 Considering the seller (when I inquired about the back) replied, “…this is a junk parts camera, I wouldn’t give it a lot of thought,” I’m happy this camera never quite made the junk pile. I think it’s going to be a great 4×5. More research suggests that the Asanuma King has triple extension to 20″, which is a darned good thing. 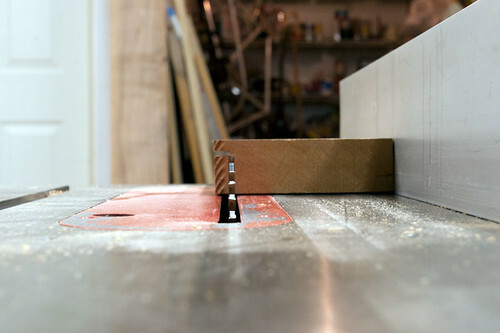 Also, while the existing “back” looks very poorly adapted, it seems that both clips are in place to hold it. 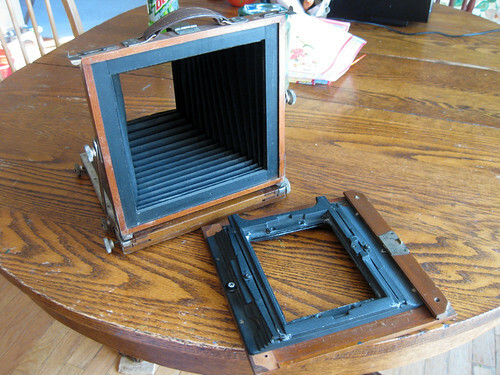 If my thinking’s right, that means the previous owner cobbled the Graflex onto the original plate back. 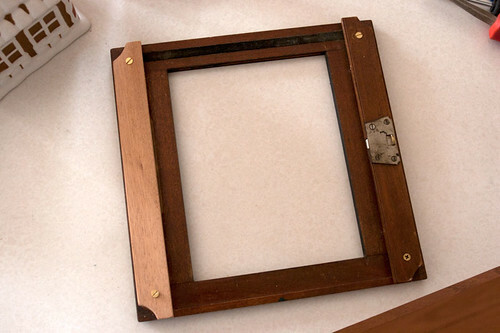 If that’s true, I should be able to slide the plate back out and either use it directly or as a pattern for the 4×5 spring back. And I think the springs from the Graflex back will be usable for the new spring back, which means less metalwork for me. This is all pending receipt and inspection, but the photos are pretty encouraging!